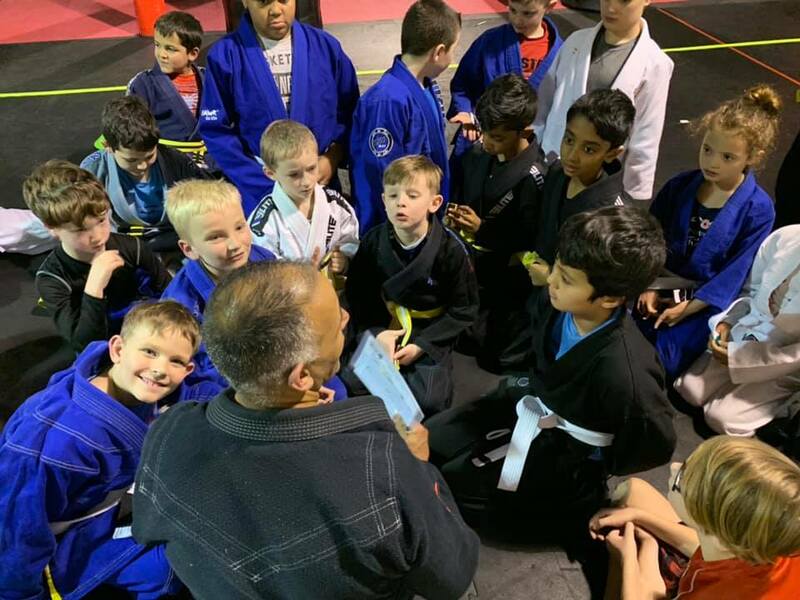 Designed for children 5-12 years of age, our Kids Brazilian Jiu-Jitsu program is an effective, practical martial art that prepares children to protect themselves in any self-defense situation. 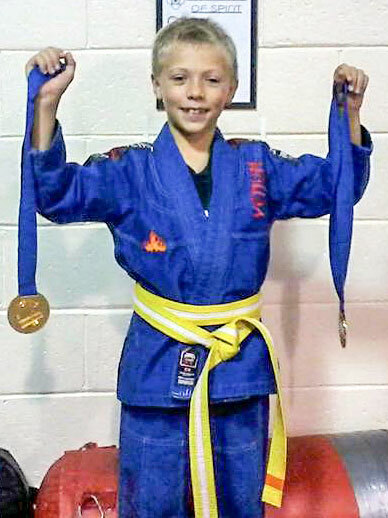 Kids BJJ classes begin with warm-up drills designed to build stamina, strength, and speed. After the warmup, students are shown a series of techniques. Although the main focus of the class is on grappling, we also implement take down techniques (Judo) so children learn non-violent self-defense skills. After the technique is practiced, we allow students to drill (spar) each technique in a controlled, supervised environment. Kids of every age enjoy BJJ. It instills confidence and self-discipline, and improves balance, coordination, problem solving skills, and mental toughness. It also prepares children with a foundation for more advanced BJJ techniques as they get older and progress in the sport. Parents with children that have ADHD, Asperger’s and Other Issues that attend regular martial arts classes have reported a noticeable difference in their child’s behavior, mental alertness, coordination, and social skills. This is partly because, unlike team sports, martial arts are focused around personal growth, rather than comparison to others. Physicians note that a structured, consistent environment is where children with ADHD thrive. If you are looking for a martial arts program for your child and want to enroll them in one of the safest, most fun and effective martial arts, just complete the free trial form and bring it with you to a class. If you decide to continue classes after your free trial class, simply sign up for a month-to-month membership. There are no contracts, hidden fee’s, belt testing fee’s etc. It’s really that easy! We look forward to seeing you at Apex Martial Arts Center.